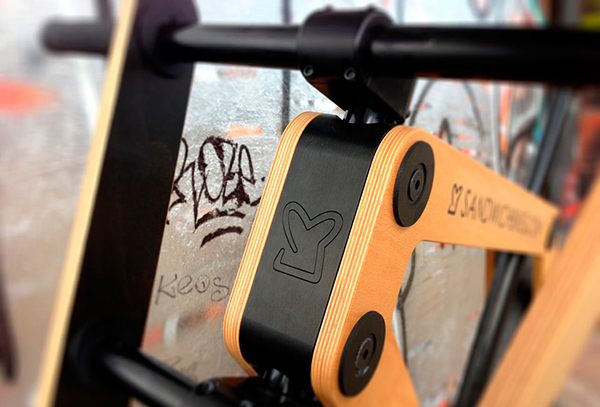 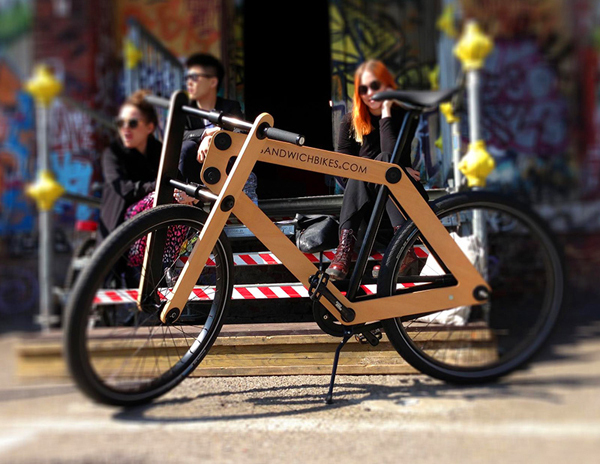 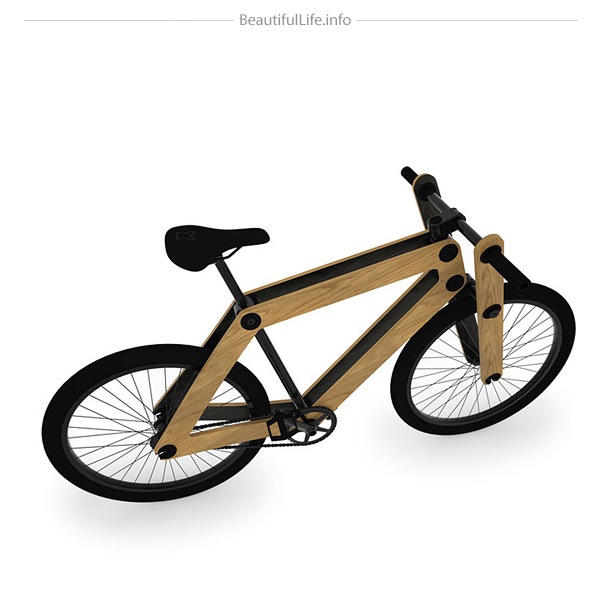 Presented during the 2013 Salone del Mobile, the Sandwichbike wooden bicycle by Dutch designer Basten Leijh will start production. 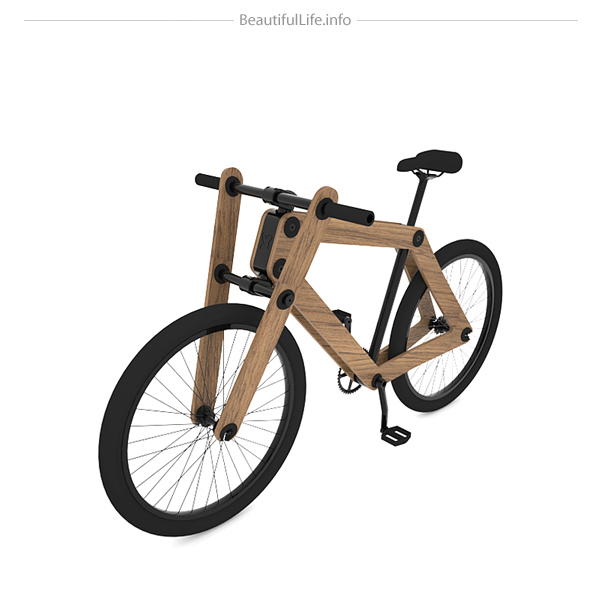 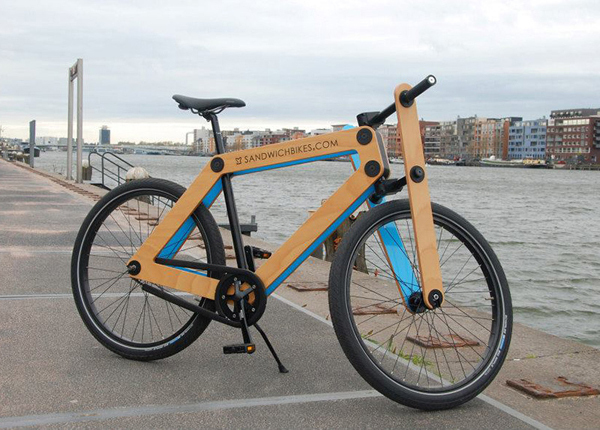 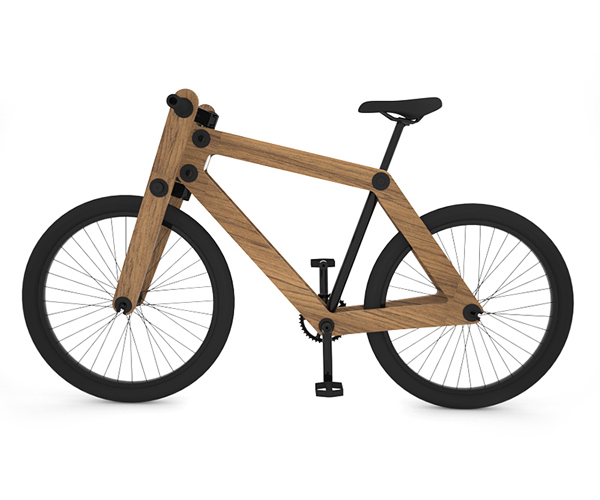 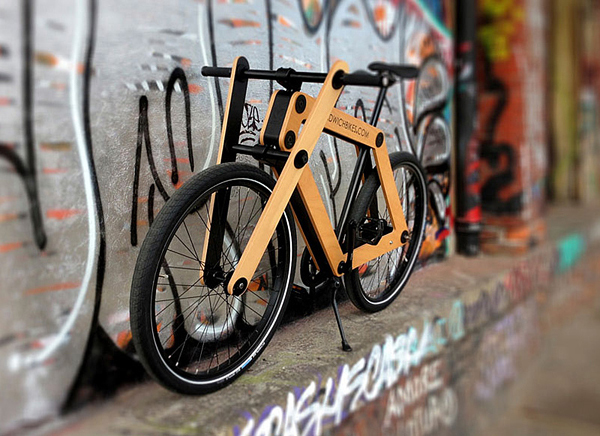 Made of two wooden panels, this bicycle was inspired by the concept of flat packing and home assembly. 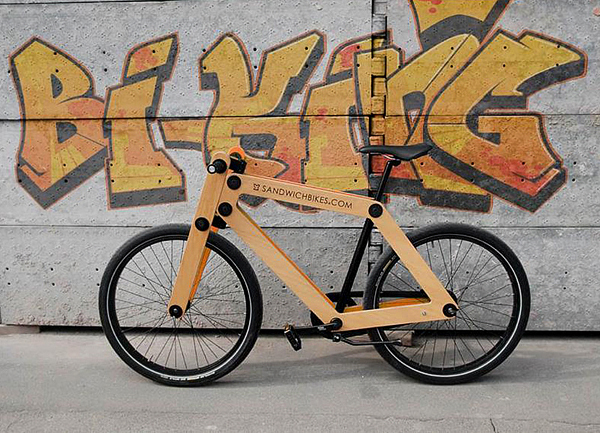 To enable to make it a build-it-yourself product, Basten Leijh rethought most aspects of the classic velocipede. 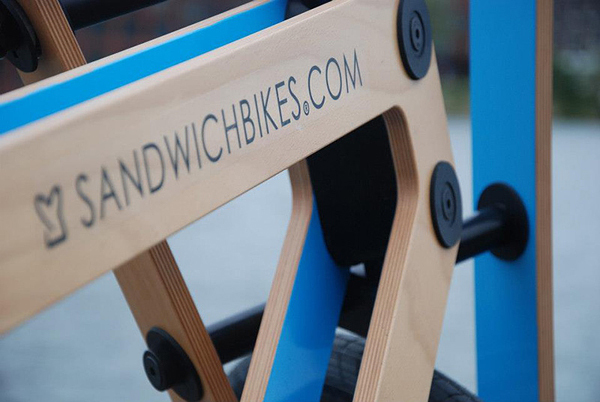 Instead of a welded frame, the vehicle is engineered as a “sandwich” of two weather coated frames of layered plywood. 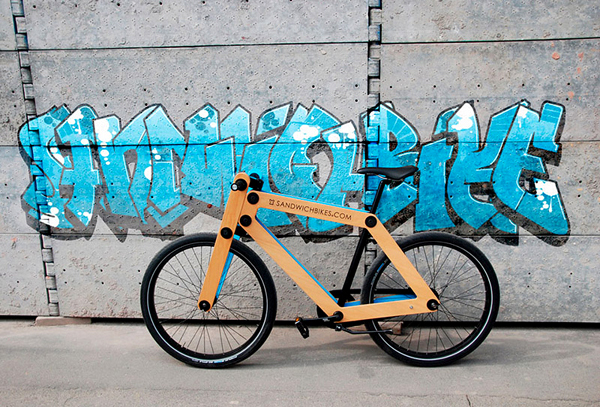 Bonded together by “smart cylinders”, the frames and components become a durable piece of technology. 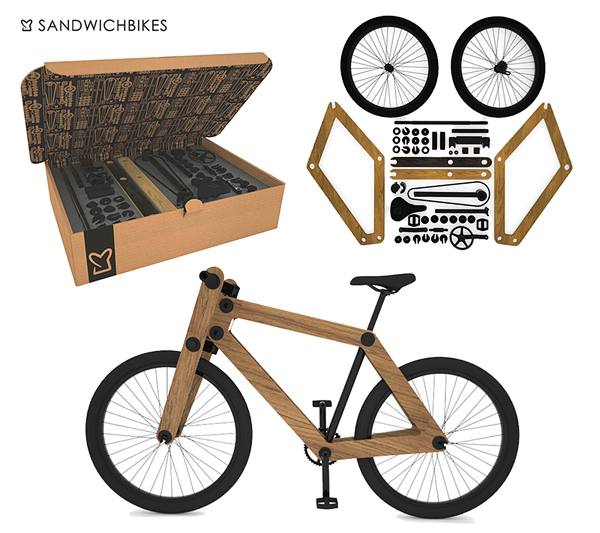 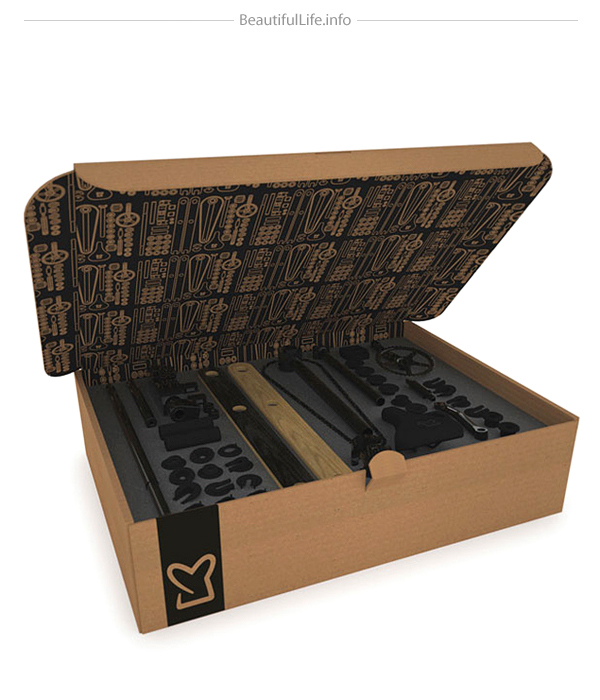 Fitting inside a flat package of reduced dimensions, the Sandwichbike can be delivered by post. 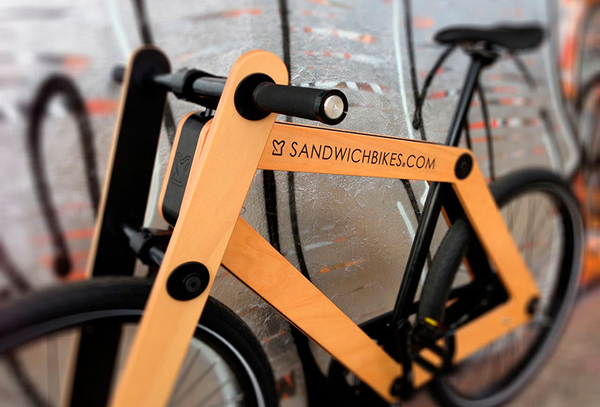 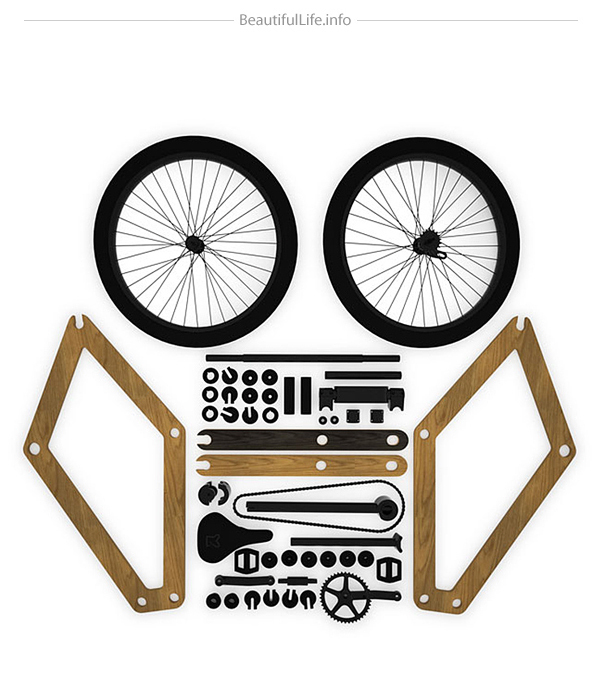 Bleijh is now taking pre-orders at Sandwichbikes.com.